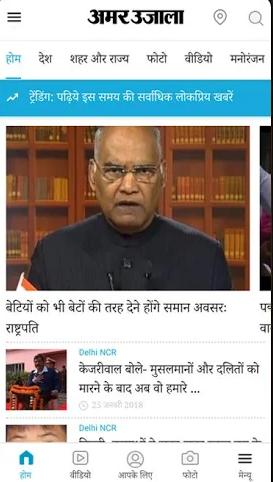 Amar Ujala is well known and famous for delivering transparent news to its readers. It is the best example to deliver the news with full courage. 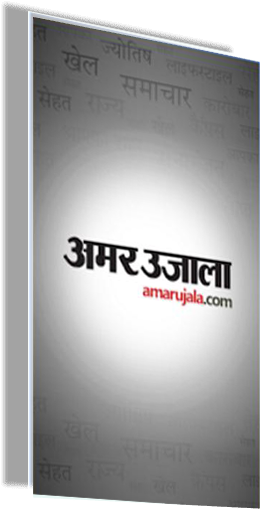 Amar Ujala is one of the largest circulated Hindi newspaper in India. The readers of amarujala are more than 4.5 crore in Uttar Pradesh, Uttarakhand, Chandigarh, Punjab, Haryana, Himachal Pradesh, Jammu & Kashmir and Delhi-NCR region. Amar Ujala has 20 editions in 7 states and 1 union territory covering 179 districts.Amar Ujala is well known and famous for delivering transparent news to its readers. 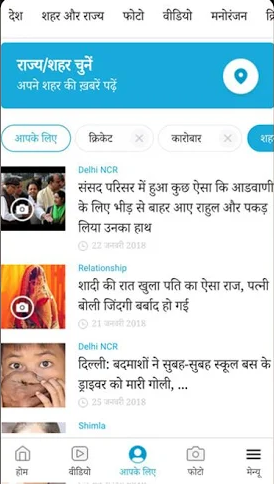 It is the best example to deliver the news with full courage.Application of Amar Ujala gives best features of an idol newspaper.You have to simply login in application, if you are a new user to this app then firstly register to the account. Pick up your favourite areas in which you want related news and be up-to-date with fresh news of Amar Ujala. Amar Ujala provides you the latest news happening near you. You will be updated with fresh news. In your busy lifestyle, this app help you to stay connected with news happening all over world. Every newspaper is filled with a lot of content. 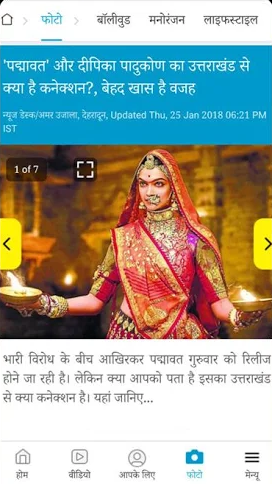 You are not interested in most of the contents but you have to cross-check the whole newspaper to read your favourite news.Amar Ujala gives you the feature to select your favourite area in which you want to read news. In your busy lifestyle, Amar Ujala sort-out your problem to read newspaper at a fixed time. 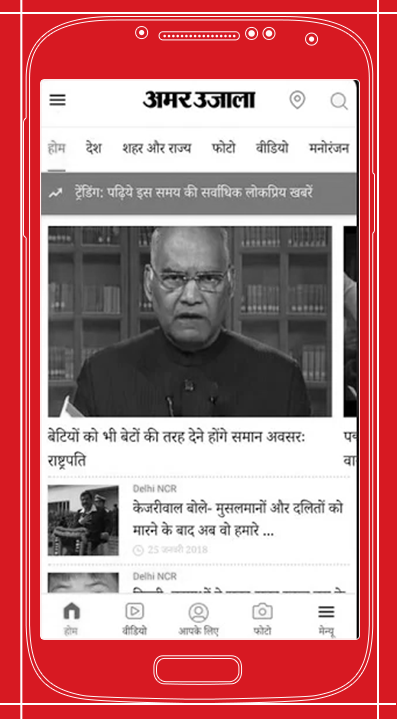 you can read news anywhere at any time whenever you want read news, use Amar Ujala application and be updated with world. Amar Ujala conducts examinations to distribute scholarship among talented children. The scholarship for Amar Ujala is pronounced by “AtulMaheshwari Scholarship”. Be updated with its scholarships and make benefit to your studies. Amar ujala provides books and magazines for students who are preparing for civil services or government services.One of the best magazine is “Safalta” which is very beneficial for the students preparing for competitive exams. Amar Ujala gives you the full information about jobs. It gives notifications so that you don’t miss an opportunity to apply for a job.Be updated with Amar Ujala job alerts and find your dream job.